Making the Mila dungarees? Wondering what size to pick or think you need some fitting help? Vanessa here today to offer some tips on sizing and fitting. We designed Mila to be made in woven fabrics with a bit of stretch, which makes them relatively easy to fit as the stretch does some of the work for you - hooray! 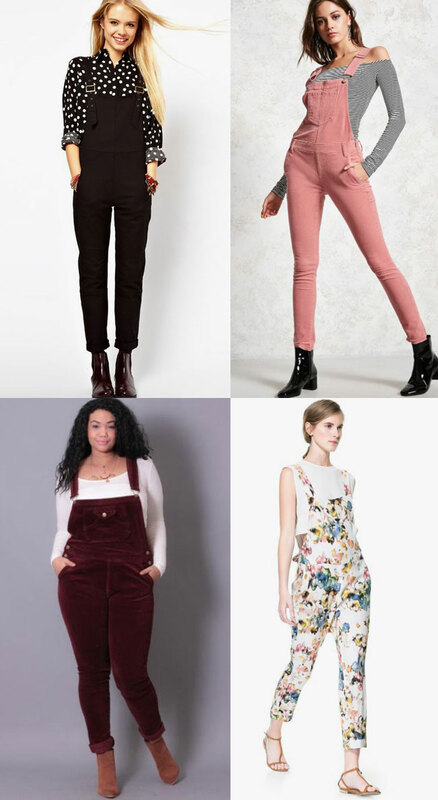 Some of you won’t need to make any fitting changes to the dungarees, but of course we all come in different shapes so you may need to make some tweaks to the pattern before sewing your final garment. Getting a personalised fit is one of the bonuses of DIY dressmaking! It’s always a good idea to trace off a copy of the pattern pieces you are adjusting so that you can keep the original version intact in case you want to change it later. Remember to trace off notches, grainline arrows and any other markings. 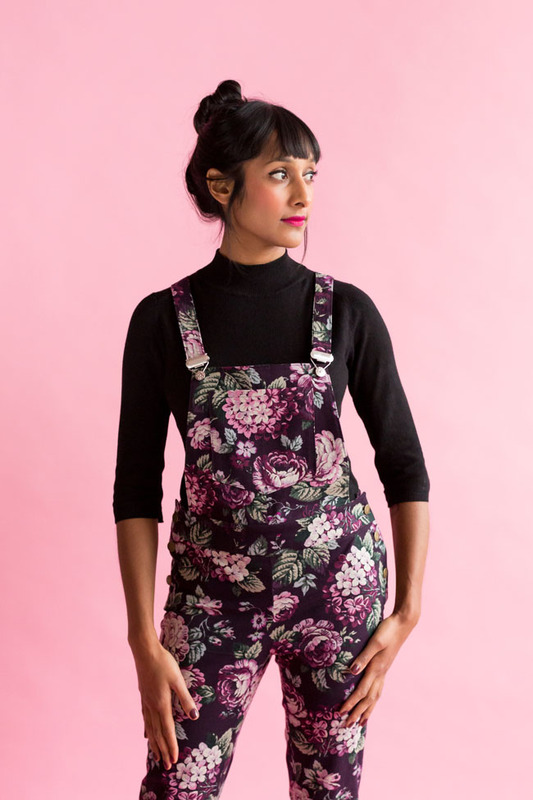 If you're planning to make the Mila dungarees sewing pattern - or maybe you aren't sure and need to imagine it made up in different fabrics or on different body shapes - then today’s post is for you! We wanted to share with you some of the design inspiration we came across whilst developing this pattern, and also fun ideas for fabric, styling and embellishments to get your creative wheels turning. When choosing your fabric, we suggest you pick a medium weight woven material with a small amount of stretch in it (not to be confused with stretch knit fabric, which probably won't work out well). Look out for stretch denim, stretch needlecord or stretch woven cotton with at least 2% lycra or spandex. We've linked to a few fabrics below, but please note we haven't handled them all ourselves. 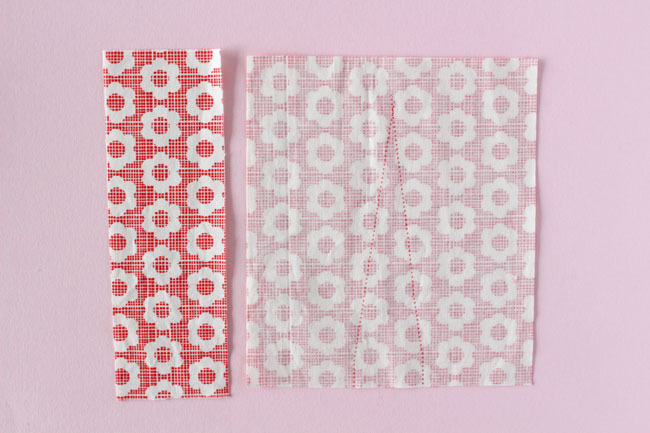 We'd recommend ordering a sample if you're not sure about the fabric before buying. 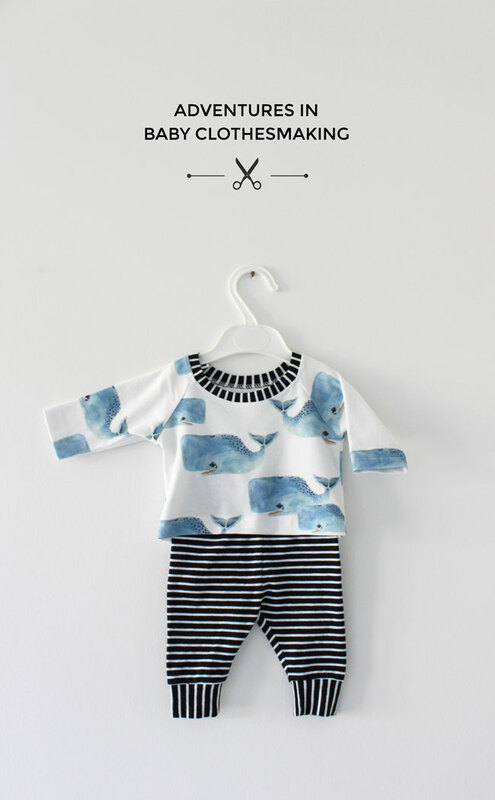 Meet the Mila Dungarees Pattern! 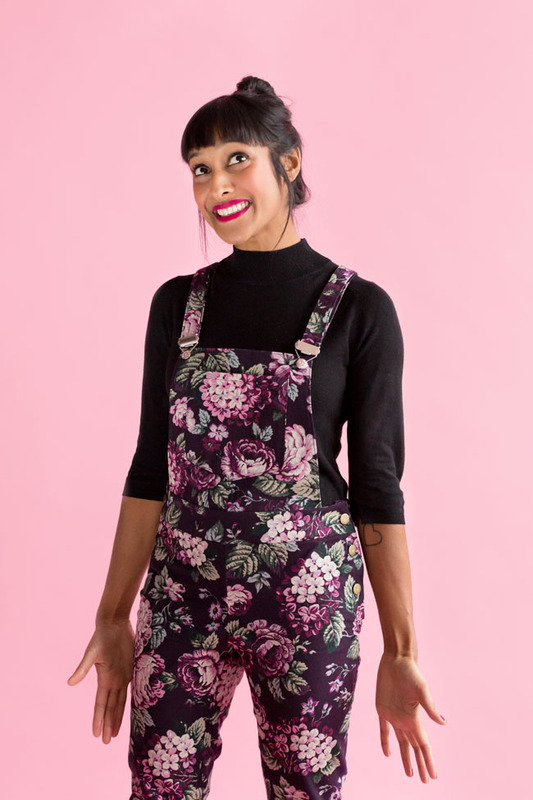 Kick off your 2018 sewing with our brand new pattern – the Mila dungarees! If you’re already a dungarees aficionado, I won’t need to tell you how addictive these are to wear. And now you can make your own! 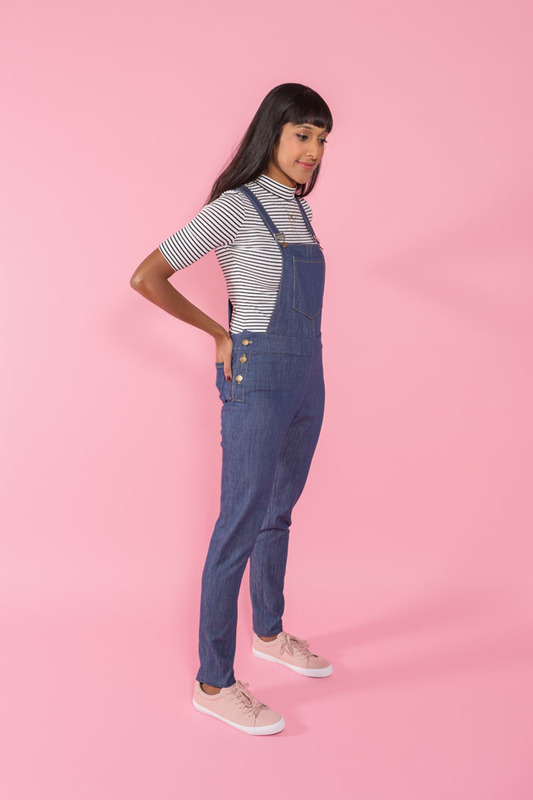 Never worn dungarees before or think they’re not your style? 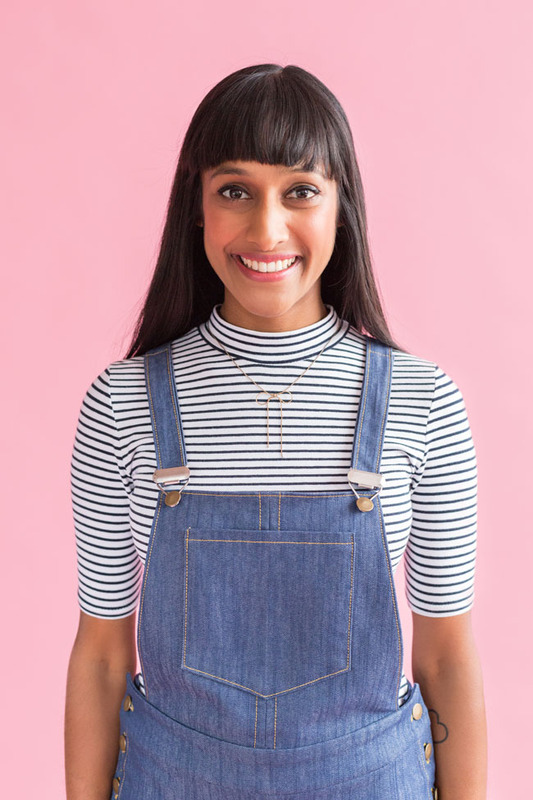 I’ve lost count of the number of people who thought the same about our Cleo dungaree dress and were pleasantly surprised when they tried it – in fact, it’s become a wardrobe staple for many of you! I’m hoping you’ll discover the same love for dungarees with our new pattern. Hi everyone, Katie here! January is the perfect time for a bit of inspiration to kick start your sewing year, and my goodness do I have some beautiful makes to share with you! Your makes over the past few months, as always, have blown us away, and I’m so excited for you to see all these fabulous creations. So without further ado let’s get started! Over the festive period we saw so many of you use our tutorials to sew up treats for yourselves and your loved ones, it was fabulous! Desireé made the sweetest version of our Fifi eye mask - very Breakfast at Tiffany’s! - and Susanna snuggled up with her gorgeous version of our Slipper Boots. Both these tutorials and many more can be found for free on our blog! You can’t get much cuter than Andromeda in her Arielle, which she wore to Disneybound as Rapunzel. We’re sure she was the best dressed at the park! We’re also loving Ruth's almost ombre Arielle made with Harris Tweed, perfect for the current cold snap. Have you ever sewn darts that come out a touch bulky and unsightly, no matter how much you steam them into submission? This can be a problem when sewing thicker fabrics in particular. 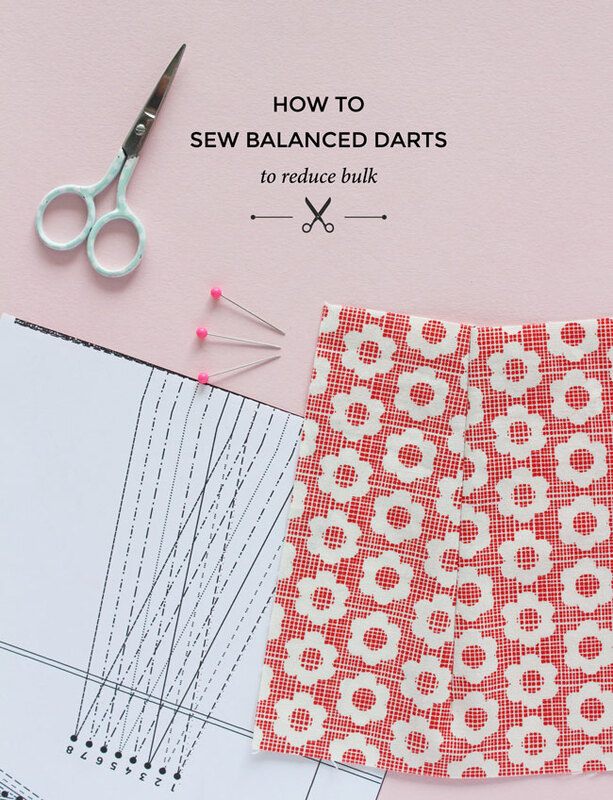 Vanessa here with a super simple couture dressmaking technique that will “balance” out the layers of fabric to get a beautifully smooth finish on your darts, even on the thickest of fabrics. You can use this technique on any fitted garment made from medium to heavy-weight fabrics such as our Etta dress, jackets, skirts or trousers. It works by stitching a folded swatch of fabric to one side of your dart and pressing it in the opposite direction to “counter-balance” the centre line. 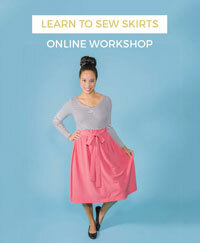 It feels like it shouldn’t work – adding fabric to make something less bulky? But it does! Practise the technique on a sample first, then move onto your dress. 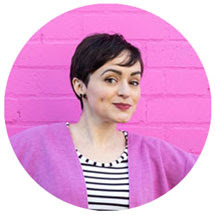 I downloaded three PDF patterns from Brindille and Twig, a company I stumbled upon on Instagram - the one piece, raglan tee and cuff leggings. They sew up so quickly, I got a little bit carried away and ended up making... erm... eleven pieces!